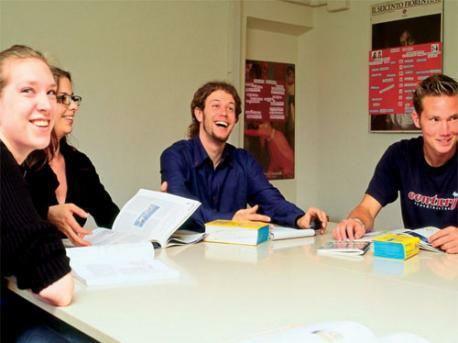 Learn Italian in Florence, the beautiful and romantic capital of the Tuscany region of Italy. Florence is quite a large city with a population close to 370,000 people and has a history dating back centuries, as it was originally a settlement established by Julius Caesar in 59 BC. Florence was declared a World Heritage Site by UNESCO in 1982 in tribute to its history and beauty, and anyone who has visited will undoubtably agree. One of the best things about the city is the sheer number of beautiful buildings and historical sites housed there, that, if you choose to learn Italian in Florence you will be able to discover for yourself. The most famous landmark in Florence is undoubtedly the stunning 13th century Santa Maria del Fiore Cathedral and The Ponte Vecchio bridge.